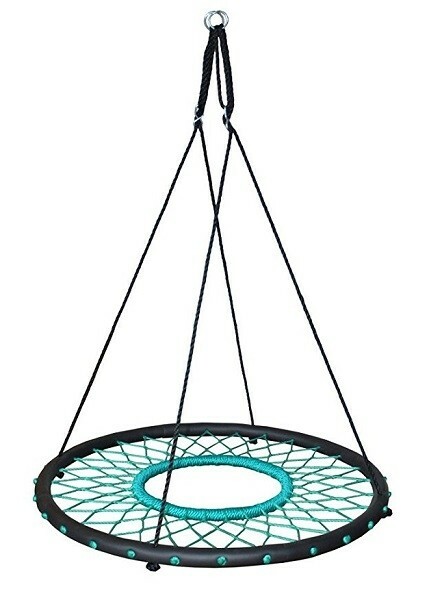 Check out the newly designed take on the traditional tire swing from Swinging Monkey! This engineering feat features spider web netting with a hole in the center to allow children to drape their feet over the edge and swing facing each other like a traditional tire swing. This swing is perfect for a group of children to play together! 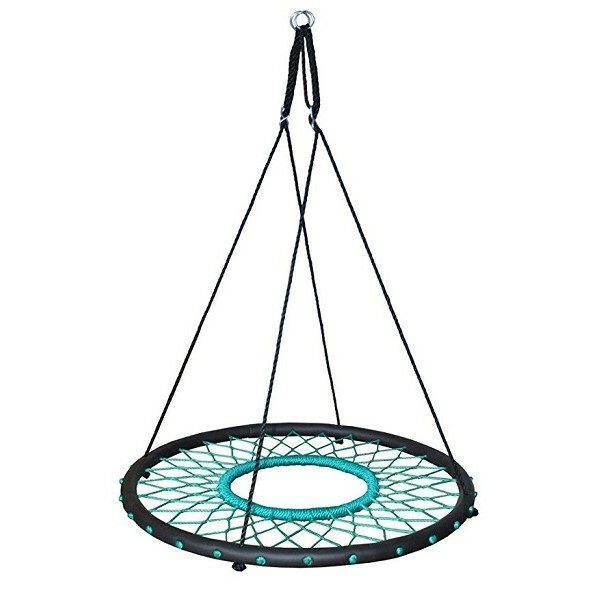 The hole allows a child to pump their legs as on a traditional swing and soar through the air! The swing is even strong enough and large enough for parents to swing together with their children. Hang from a single point and let the swing twist and spin or hang from two points like a traditional swing. This swing requires basic adult assembly and can be built and ready to hang in minutes! An easily adjustable hanging length makes it universally adaptable for indoor or outdoor use. Hanging hardware not included.